Buy your Season Tickets today! 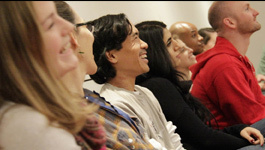 Subscribe to save up to 30% off ticket prices, get tickets to the Free For All in advance, get discounts on additional tickets, get free standby if you miss performances, and more! Season Tickets may be paid for in up to six monthly installments. Installments are charged on the first Friday of each month. Under 35? Subscribe for only $132. (Some offer restrictions apply). Learn more. 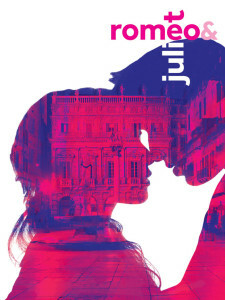 The most famous love story in the world and one of Shakespeare’s early poetic masterworks, Romeo & Juliet follows two star-crossed lovers from love at first sight to eternal life hereafter. 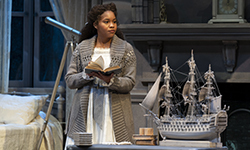 Caught tragically between two feuding families, alike in dignity and in enmity, Shakespeare’s immortal young lovers try to fashion a new world amid the violence of the old, but cataclysmic choices and tragic twists propel them toward a final confrontation with fate. After helming the highly-lauded productions of Kiss Me, Kate and Man of La Mancha, Associate Artistic Director Alan Paul directs his first Shakespeare production at STC—what is sure to be a spectacular, contemporary and heart-rending vision. When 10-year-old Mary Lennox loses her parents to a cholera epidemic in the British Raj of India, she travels to England to stay with Archibald Craven, her remote and morose uncle, still grieving the death of his wife ten years ago. Terrified of every nook and cranny of the haunted Craven Manor on the Yorkshire Moors, Mary seeks refuge in her late aunt’s mysterious walled garden, where she discovers amazing secrets. 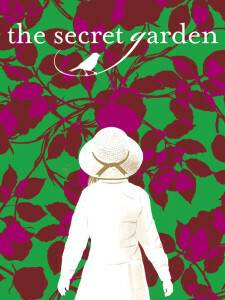 Marsha Norman and Lucy Simon’s Drama Desk and Tony Award®-winning musical based on the beloved children’s book, The Secret Garden is a story of hardship turned into hope, of beauty discovered in unlikely places, the power of the child’s imagination and the wisdom that accompanies growing up. 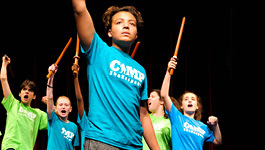 Musicals at the Shakespeare Theatre Company are made possible by the Beech Street Foundation. The Queen is dead. After a lifetime of waiting, Prince Charles ascends the throne with Camilla by his side. As William, Kate and Harry look on, Charles prepares for the future of power that lies before him…but how to rule? Written primarily in Shakespearean blank verse, this modern history play explores the people underneath the crowns, the unwritten rules of Britain’s democracy and the conscience of its most famous family. 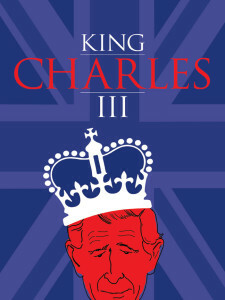 In the wake of sensational Broadway and West End runs, Studio Theatre Artistic Director David Muse will direct the regional theatre debut of King Charles III, Mike Bartlett’s Olivier Award-winning play. 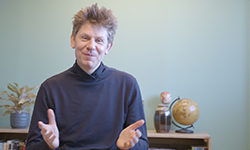 Spinning a tale of modern royalty with classic poetic language, Bartlett constructs a contemporary Shakespearean drama in our immediate future. 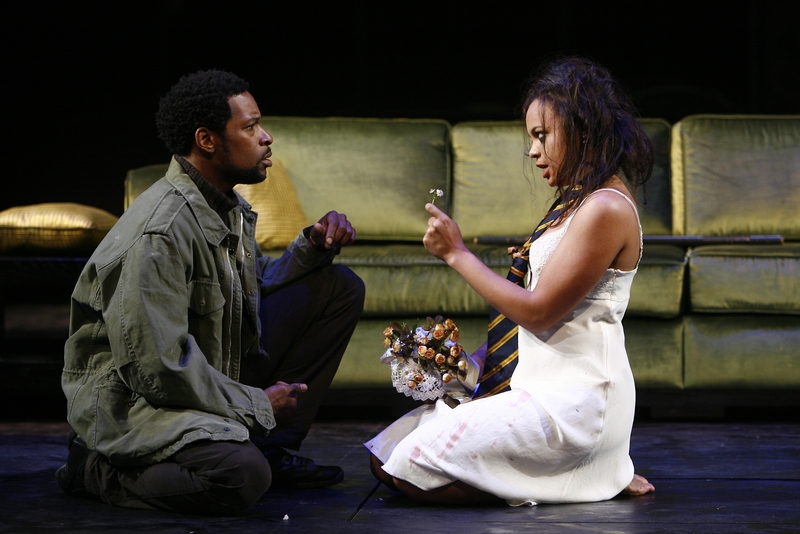 The Select (The Sun Also Rises) was initially produced by Elevator Repair Service and New York Theatre Workshop. A stage littered with liquor bottles and café chairs seamlessly transforms itself from the bistros of Paris to the banks of the Irati River; a long bar table roars to life and charges a champion matador; an out-of-control dance party takes off during a night of nonstop revelry. As the story winds its way through France and Spain and lands in Pamplona where bullfighting and the fiesta rage in the streets, Hemingway’s narrator carries the heavy burdens of a war injury and his inability to have the woman he loves; a woman whose amorous escapades he follows with bemused but painful fatalism. Created by acclaimed theatre ensemble Elevator Repair Service, The Select (The Sun Also Rises) is the third in a trilogy of literary adaptations along with Gatz (The Great Gatsby) and The Sound and the Fury. Following the success of Headlong’s 1984 and the National Theatre of Scotland’s Dunsinane, STC presents another innovative production that reimagines a classic story through the fusion of artistic forms. 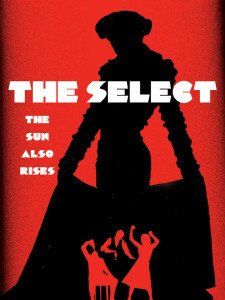 The Select (The Sun Also Rises) is a co-production of Elevator Repair Service and New York Theatre Workshop. 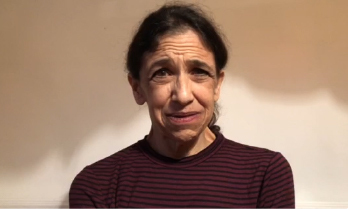 It was commissioned by the Ringling International Arts Festival, John and Mable Ringling Museum of Art, Sarasota, FL, in association with the Baryshnikov Arts Center, New York, NY; the Philadelphia Live Arts Festival with funding from The Pew Center for Arts & Heritage through the Philadelphia Theatre Initiative; ArtsEmerson: The World On Stage, Boston, MA; and Festival Theaterformen Hannover/Braunschweig. 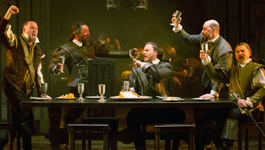 Provocative director Liesl Tommy brings Broadway savvy, storytelling flair and a revolutionary sensibility to “The Scottish Play,” Shakespeare’s exploration of murderous ambition, fiendish equivocation and a love of terrifying intimacy. 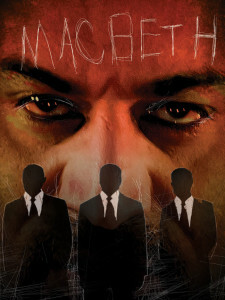 In a world beset by civil war and invasion, Macbeth and his artful lady begin a series of murders, plunging us into the darkest night of the soul. 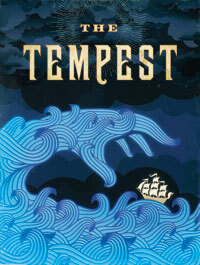 Storms rage, fires burn and night blankets the earth in this tale of sound and fury, accompanied by Shakespeare’s richest poetry. Liesl Tommy’s projects include Eclipsed by Danai Gurira, starring Lupita Nyong’o and currently running on Broadway, Appropriate by Branden Jacobs-Jenkins (Signature Theatre New York, Obie Award for Best New Play), Ruined by Lynn Nottage (at the Huntington Theatre Company, Berkeley Repertory Theatre and La Jolla Playhouse), and the world premiere of Party People by Universes at the Oregon Shakespeare Festival. 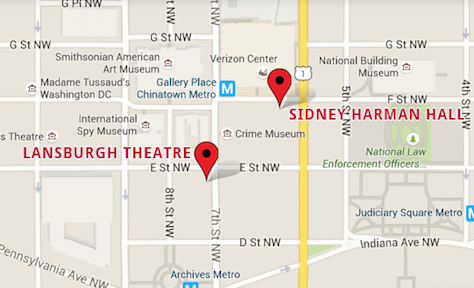 Director Liesl Tommy and Macbeth are underwritten by the Clarice Smith Series: New Directors for the Classics. From the comic imagination of STC favorite David Ives comes a Baroque buffet. Alceste, Molière’s ruthless French truth-teller, becomes Frank, an aristocrat who despises hypocrisy—and, frankly, doesn’t mind telling you so. 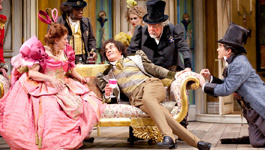 His chief delight a well-aimed barb, Frank wreaks havoc in a world of pompous suitors and extravagant ladies, hurling abuse and affection with equal gusto as he vies with admirers for his beloved Celimene. 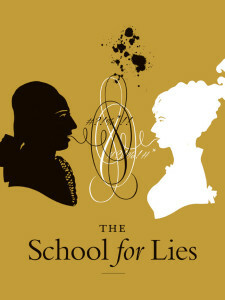 Tony Award®-nominee David Ives and STC Artistic Director Michael Kahn, the team that created the award-winning French “trilogy” of The Liar, The Heir Apparent and The Metromaniacs, return to old stomping grounds in this uproarious update of one of the greatest masterpieces of French comedy. Outrageous gags and vicious couplets strike a hilarious balance of class and crass in this classic collision of Molière’s biting satire and Ives’s modern wit.